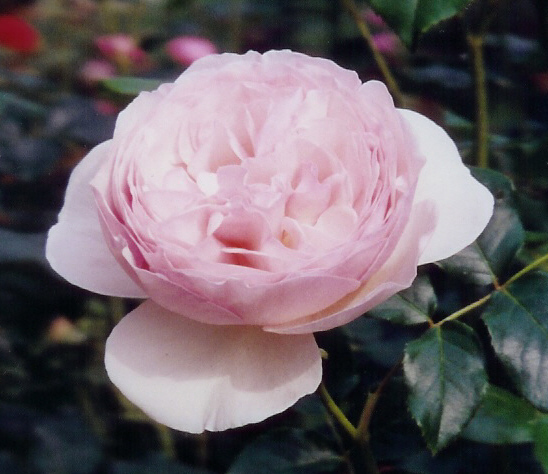 Heritage, introduced by David Austin in 1984, is a very soft pink English Rose. Heritage is one of the well known David Austin Roses and still much loved inspite of all the new David Austin introductions. Blooms are medium size, (3 – 3-5 inches), double about 75-80 petals and cupped leaning toward the center. It has a very delicate look to it that adds to its beauty. The bloom is clear pink in the center with very light pink, almost white on the outer petals, complemented with deep green, leathery, glossy foliage. It has few thorns. It has a robust growth, nicely shaped rounded bush. It grows 4 ft - 5 ft x 4 ft wide and 7 ft if trained as a climber. It needs plenty of space to spread out. Plant Heritage at the end of the bed or in back of a border. It’s very floriferous and repeats continuously throughout the summer into the autumn and has a delightful fruity and honey fragrance with a touch of myrrh. I planted two Heritage roses in my previous garden, one on each end of a formal bed and they look terrific. With Graham Thomas on the other bed across the path, you can barely go through them. They make such a statement in the garden. 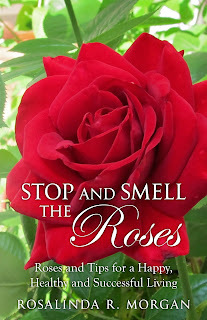 In the month of June, when the bush is covered with blooms and the petals start to fall off to the ground, the garden is quite a sight, as if it’s floating in a cloud of rose petals.